As doctors, we know that maintaining good health and getting immunizations can do wonders for patients’ health. However, there are certain conditions, such as asthma and allergies, that can’t benefit from these measures. 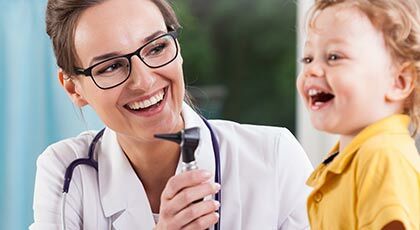 By turning to the professionals at the Desert Care Network for your asthma and allergy testing in Palm Springs, California, you can find out if you have these conditions and what can be done to manage them. Get to know the specifics of your allergies by taking advantage of our allergy testing services. Once we have a diagnosis, we can discuss your treatment and management options, including allergy shots, pills, drops, or allergen avoidance. When you visit us for testing, our medical staff will perform one of two tests—a blood test or skin test—depending on your specific situation. The skin test is performed by either pricking the surface of your skin with different allergens or injecting the allergens under the skin. We can test many different types of allergens at once and accurately determine which one is the cause of your symptoms. If a skin test can’t be performed for whatever reason, we also offer blood tests, which diagnose a blood sample in the lab. Whichever test you need, our professionals perform it with care and compassion so you stay as comfortable as possible. Call 760-410-8666 today to book an appointment, find detailed provider information, office locations, hours, and more, or you may complete the form to the right. Contact us today by calling 760-410-8666 in order to learn more about our allergy and asthma testing services. We proudly treat patients in and around Palm Springs, California.